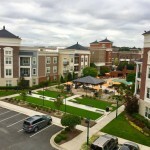 The Village Lofts is a brand-new midrise apartment community in Greensboro. With charming details, luxurious interiors, and fantastic amenities, this is definitely a place you will want to check out as you are apartment hunting. Plus, our location in the heart of The Village at North Elm is one of the very best spots in Greensboro! 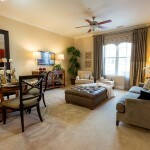 Our luxurious apartment homes are available in one-, two-, and three-bedroom floor plans. 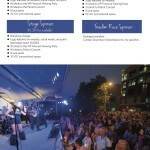 With apartment units ranging from 790 to 1452 square feet, we have options available to suit every need and lifestyle. Plan on living on your own? Our new one-bedroom apartments in Greensboro, NC will be the perfect fit. Living with a roommate? A two-bedroom, two-bathroom unit will make it easy for you and your roommate to each have your own space. Renting with your family? Our largest unit features three bedrooms and three bathrooms, making apartment living with kids a breeze. As we were designing and completing The Village Lofts, no detail went unnoticed. This is precisely why our apartments feature details such as kitchen islands, stainless steel appliances, hardwood flooring, granite countertops, ceiling fans, full-size washer and dryer sets, custom window coverings, and more. The same attention to detail was implemented as we were deciding on the amenities that would be available to residents. Just a few of the amenities offered at The Village Lofts include a 12-seat movie theatre, outdoor community area with grills and fire pits, resort-style swimming pool, outdoor kitchen, on-site clubhouse, and more. It is also important to note that The Village Lofts is a private and controlled gated community, so you can feel safe coming home. In addition to all of amenities within The Village Lofts, you’ll also have easy access to all the conveniences that are in The Village at North Elm. There’s a 24-hour grocery store in walking distance, so you will always be able to get the essentials. You can also walk to the nearby shops, restaurants, dry cleaning, spas, and more. To learn more about the conveniences of living in The Village Lofts and our new one-bedroom apartments in Greensboro, contact us today.